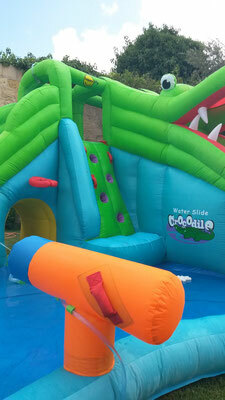 Great entertainment with this attractive inflatable. 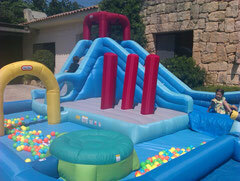 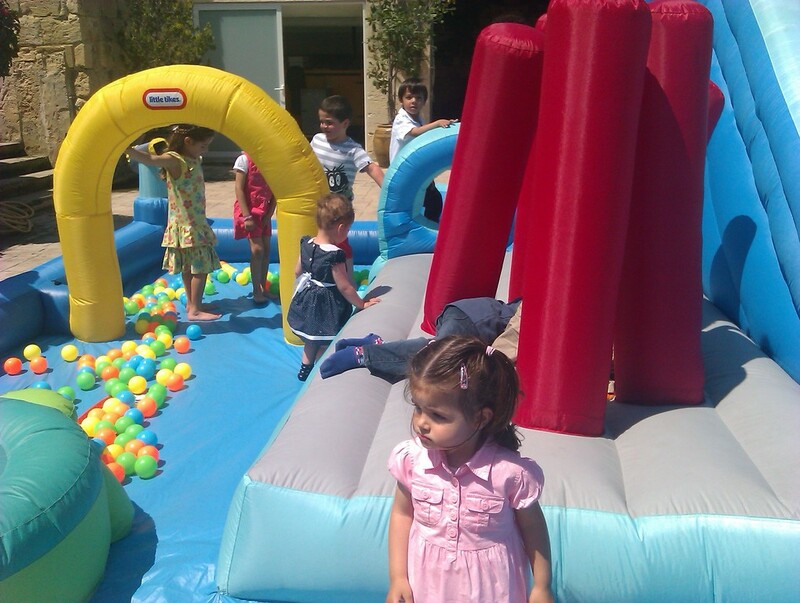 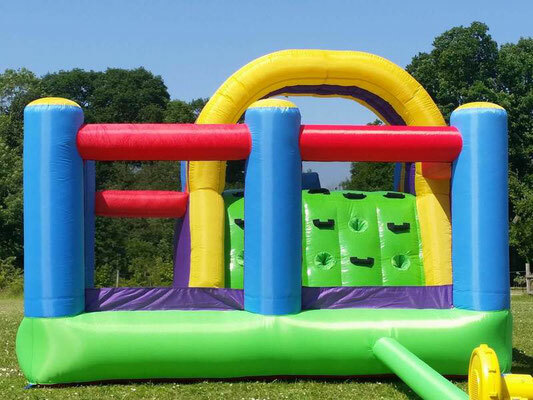 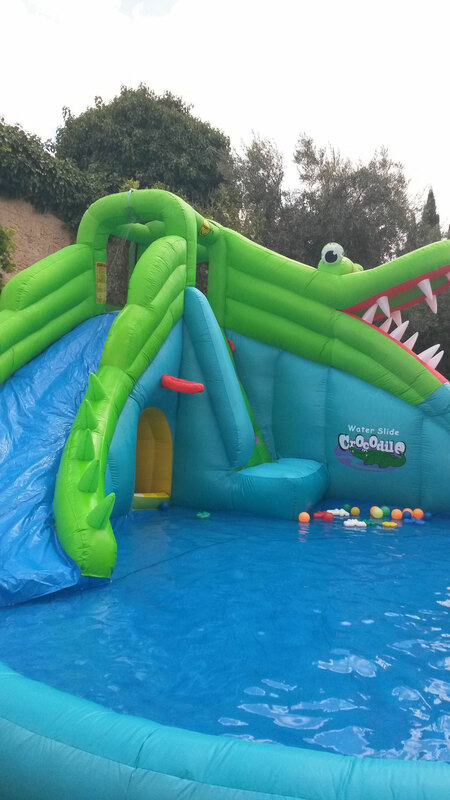 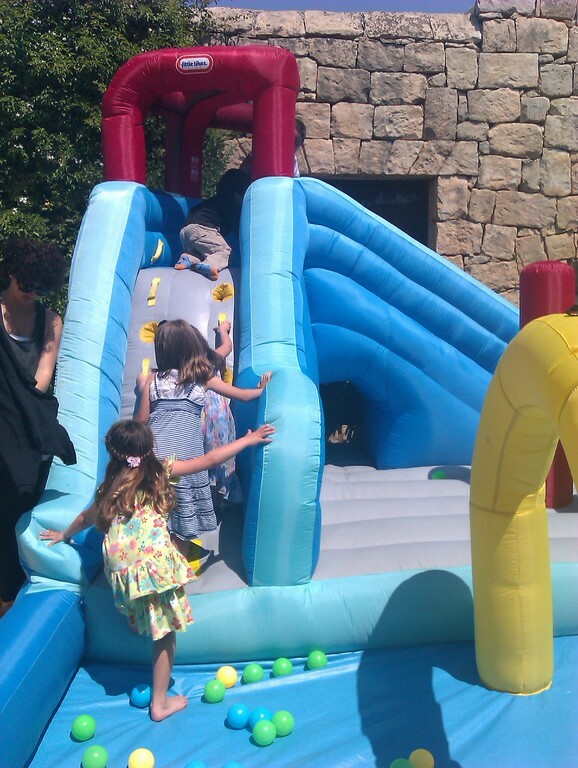 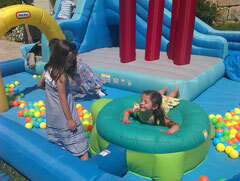 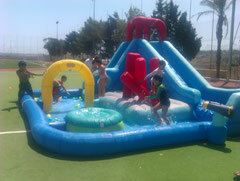 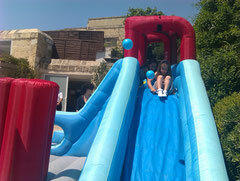 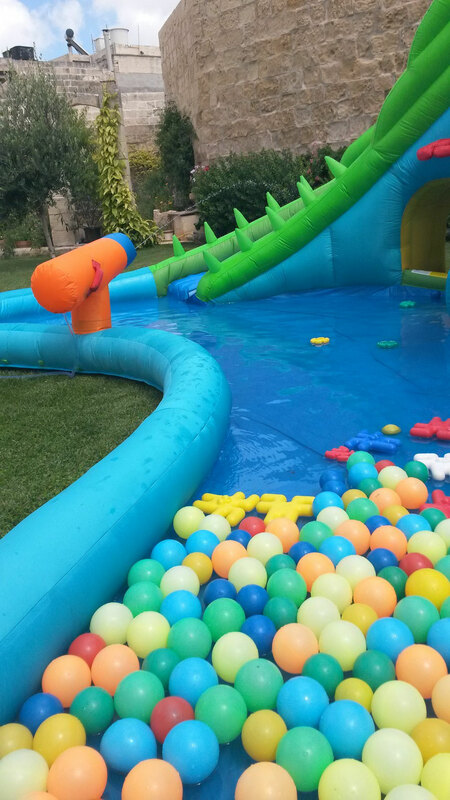 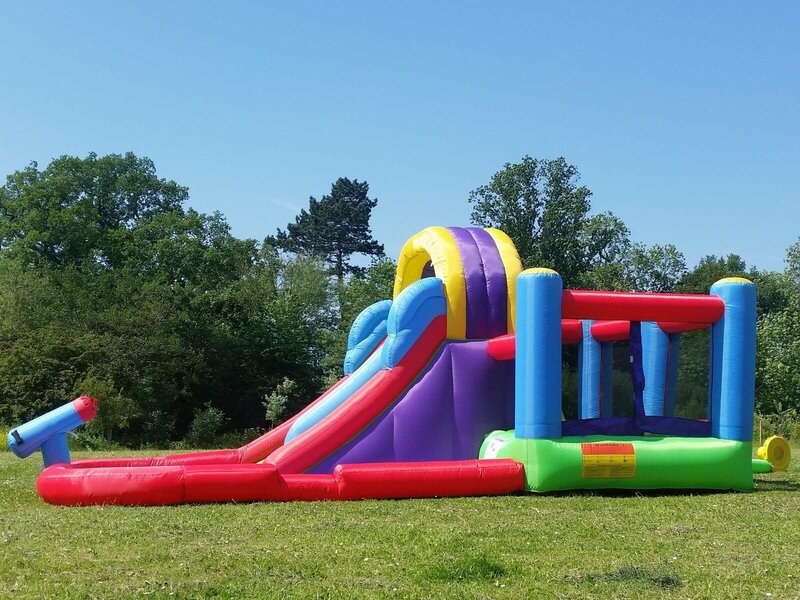 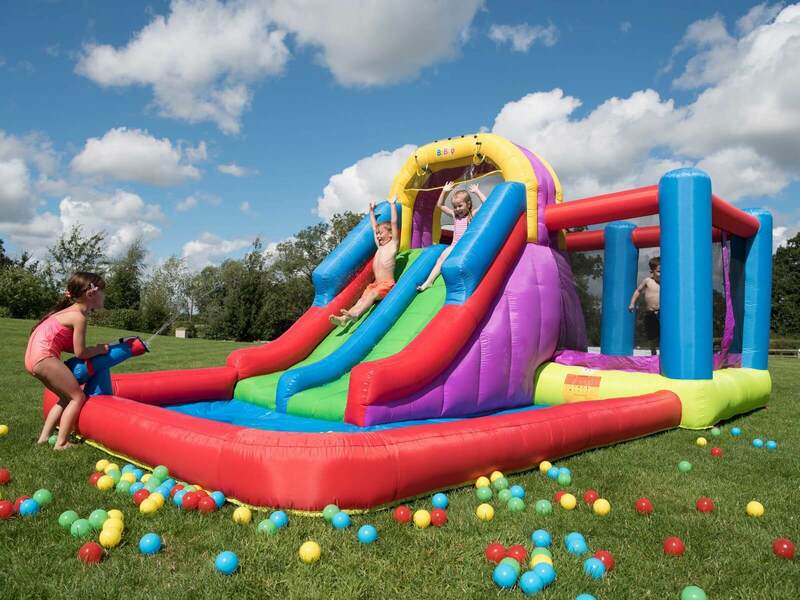 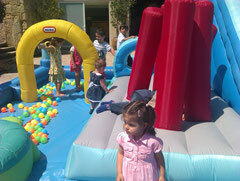 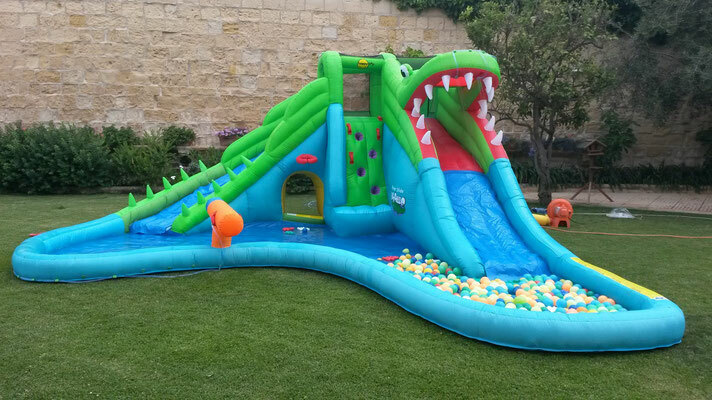 Size is 19 x 17 Ft, has a double slide and pool area! 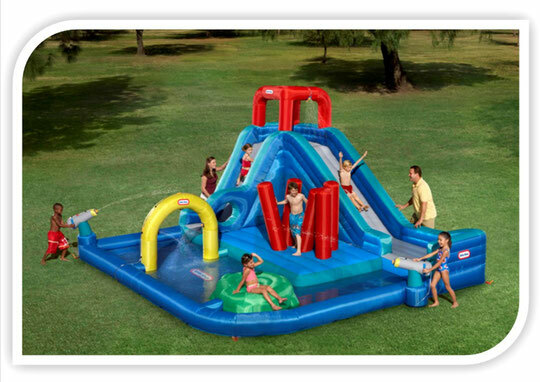 The 19′ x 19′ x 12′ Waterpark has something for everyone! 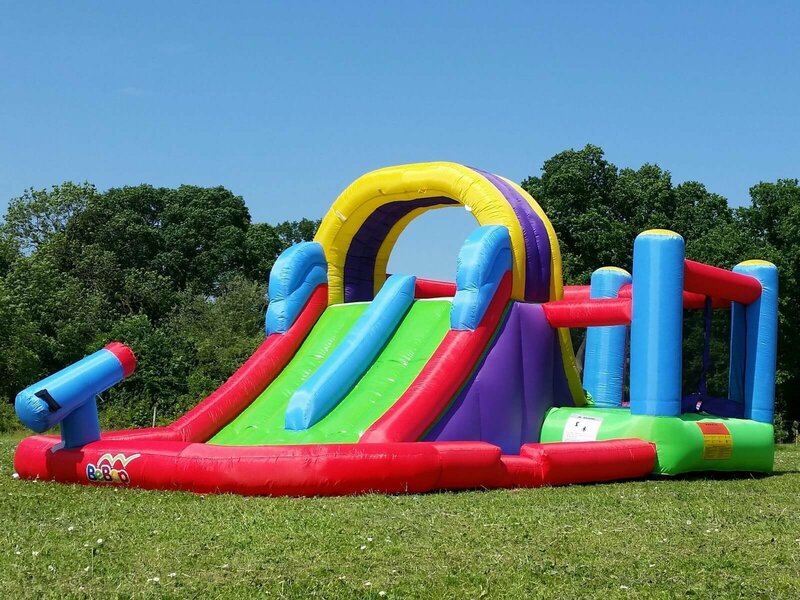 With a large slide that is 163 inches long and 82 inches high,children will enjoy a super splashy ride down to the play area pool at the bottom. When they’re not enjoying a ride down the slide, they can bounce on the obstacle course and hop on the turtle trampoline which helps children get the exercise they need to stay active. 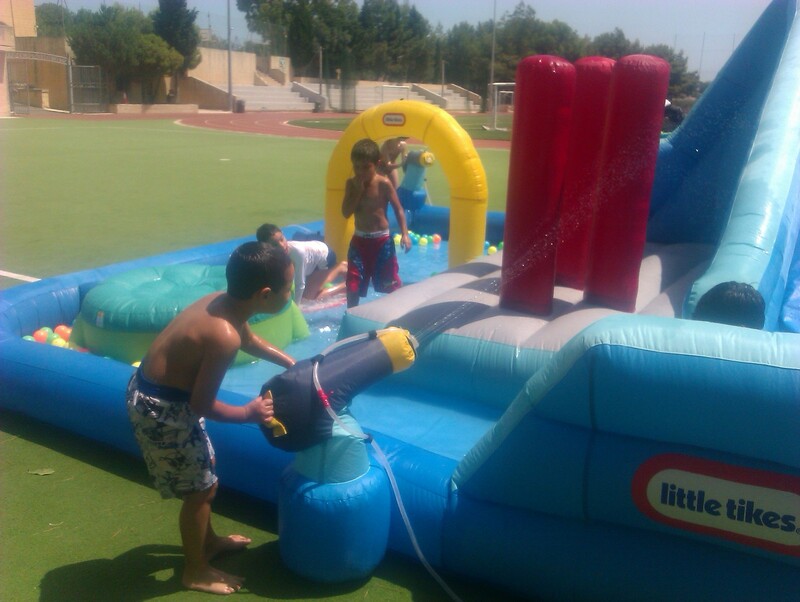 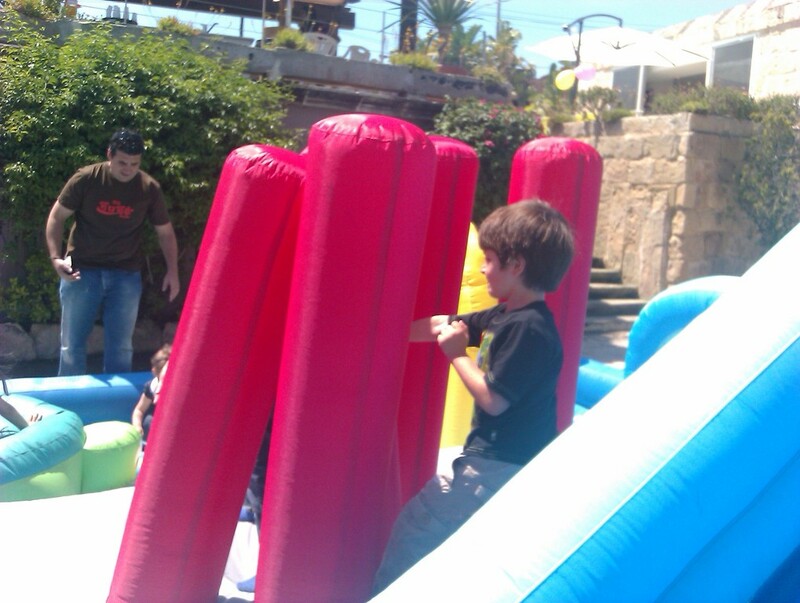 Water Cannons can shoot water up to 20 feet and point in toward the centre of the play area for great shoot outs. It can be used as a ballpond, instead of water the pool area would be filled with lots of colourful balls.